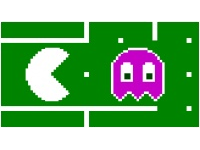 Want to play Pacman in Firefox? The Pacman Firefox extension lets you do just that with what it claims are authentic sound effects, "stunning" retro graphics, and a back-in-the-80s feeling. Once you've installed it, you can start playing by opening it from the Tools menu. Press the up or down key to start a new game.